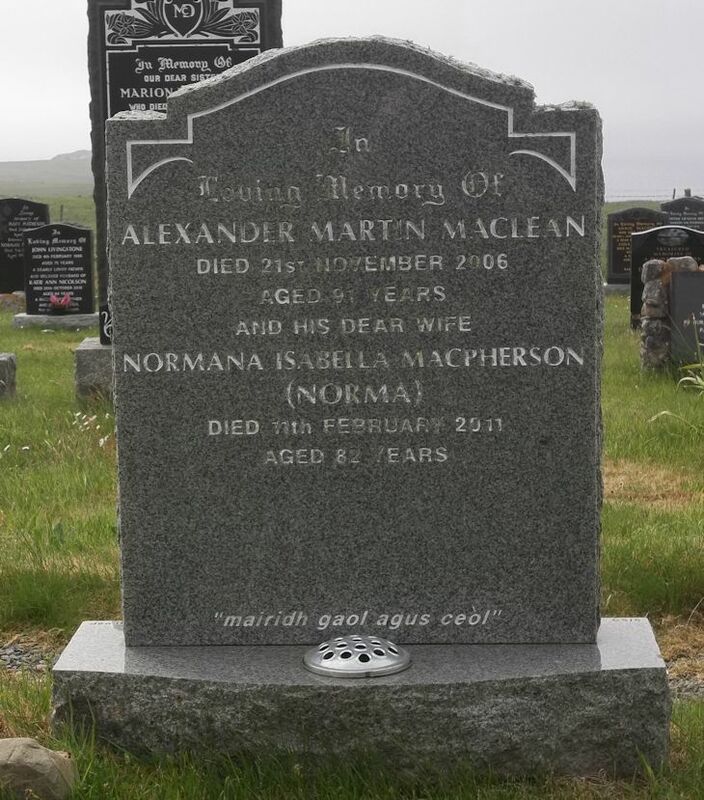 Skye Gravestones | Alexander & Norma (Macpherson) Maclean. Alexander & Norma (Macpherson) Maclean. In/loving memory of/ALEXANDER MARTIN MACLEAN/died 21st November 2006/aged 91 years/and his dear wife/NORMANA ISABELLA MACPHERSON/(Norma)/died 11th February 2011/aged 82 years. Picture Added on 07 June 2018.